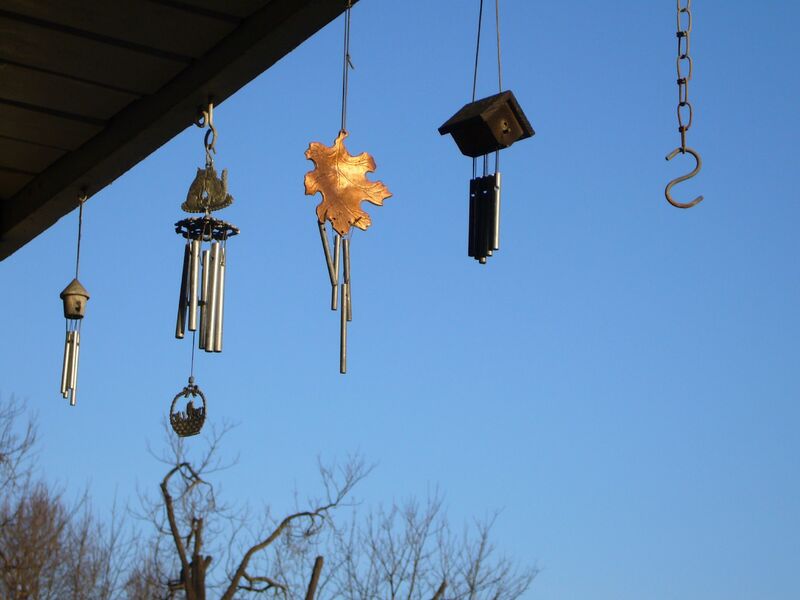 I spent the last three months in a house with wind chimes. I woke up in the middle of the night to the music of them in the breeze, and there was an eeriness to it. I had to grow accustomed to its sound. But I did grow accustomed, and soon I will miss the music of wind in glass. I have never awaited summer with less anticipation. Good evening, my name is Catherine Hawkins, and I am an Upper School Latin teacher. I hand out awards one after the other. I try to speak slowly because I rush when I want to be done. I pass out two Perfect Scores on the National Latin Exam; I clap for a row of students so long it has to loop around the stage. I jump into a class photograph – right in the middle – but I do not tear up once the entire evening. Someone has to hold it together. And we all know Jim wouldn’t be able to [cough, cough, no-emotion-man]. I packed up my room. It is hideous and you would never imagine such learning and fun and difficult conversations happened here. I am not even leaving forever – I’ll be back in September – but there is something about this year that was precious to me. Too dear, maybe, in a way that could not be sustained. Good thing I have a good memory. Good thing they have left me better than the way they found me. The past few months, I have questioned my work in a way I have never done before. Is it the easy way out? This past week, tear-stained cheeks, awkward middle school goodbyes, and a gift I will proudly hang on my wall prove that this is valuable work I do. I grew accustomed to saying the same few names over and over in class: Refocus. You need your textbook, not your workbook. Sit down. That’s hilarious, but NEVER DO IT AGAIN. I grew accustomed to these faces, these voices, these antics that – on my more tired days – were not quite as endearing as they’d hoped. 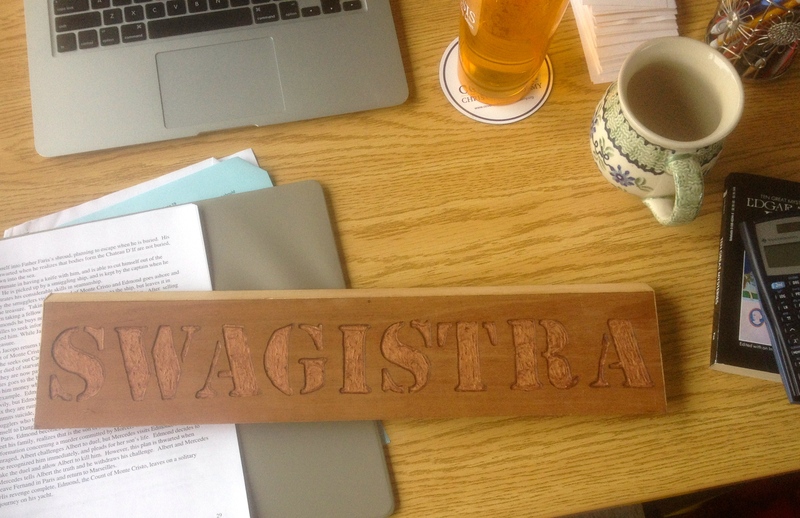 I grew accustomed to being their Magistra, but now, as many of them move on, I will forever be their Swagistra. 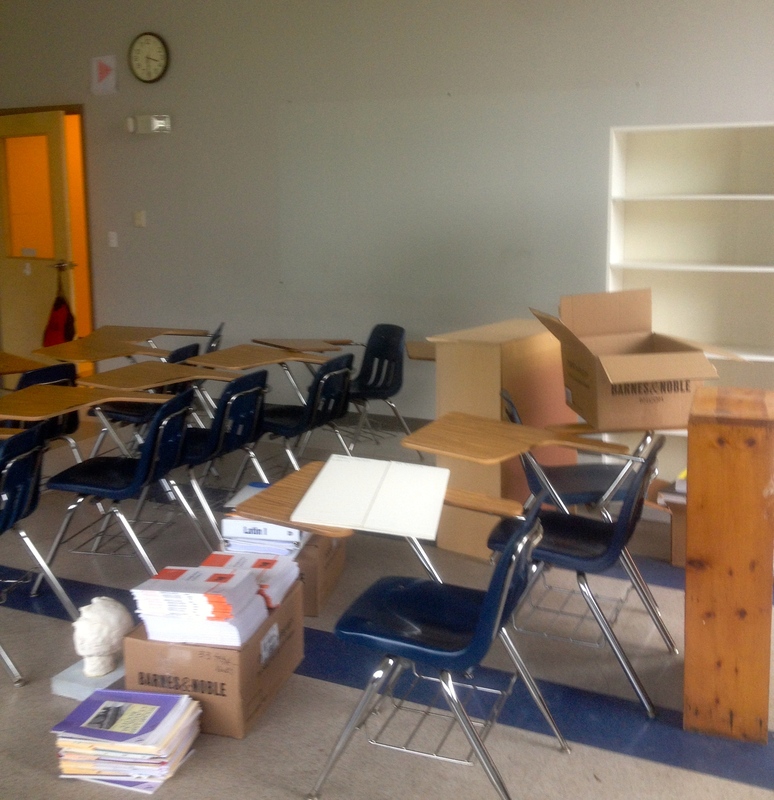 This entry was posted in glorious life of teaching, latin, the good things and tagged goodbyes, growing up, kids, latin, stories, teaching on June 15, 2015 by catherine_hawkins.